MW Mobile Blog: My job here is done. Yeah. 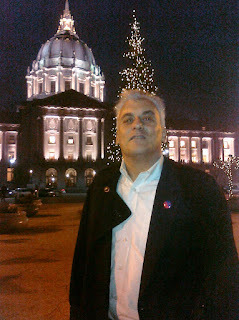 Supervisor Mirkarimi made me wear it. Did you bring some fois gras wrapped in a plastic bag to the meeting? Please. You know how socially conscious and green I am. My foie gras was wrapped in brown recycled paper. Sorry, didn't you hear? Mr. Mirkarimi would like to eliminate ALL bags.